Often martial art school owners fill their staffing gaps by using free volunteer labor, namely by recruiting their students to help them out. This on its face seems like a great idea, but it comes with hidden dangers. In this podcast episode, Mike explains these hidden dangers (based on the current legal and business environment in the U.S.) and shares what he believes to be the best alternative. Also, in the Tip of the Week Mike explains the best option for tracking business expenses and withholding related to hiring and paying your employees. 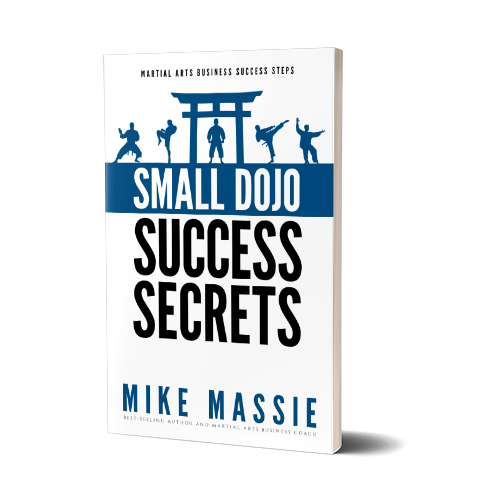 Small Dojo Big Profits – Of all my books and resources, Small Dojo Big Profits is the book I recommend that you read first if you are starting a martial art school or struggling to grow your school. It lays out the foundational principles that I believe every school owners needs to have in place to start and run a successful martial art school. Click here for more information and to order. MAbizU.com – MAbizU.com is my online martial arts business coaching website. Benefits of membership include access to dozens upon dozens of informative articles on every aspect of running a school, multiple video courses that provide in-depth explanations of the Small Dojo Big Profits approach to running a school, access to a huge download archive of ads and useful business forms, and access to the private Facebook coaching group reserved only for MAbizU.com members. You can find out more and become a member here. KravMagaInAustin.com – Click the link to register for the krav maga instructor certification seminar in Austin Feb 5-8 2015. MartialArtsBlogging.com – Martial Arts Blogging dot com provides a unique article-writing service for martial art school owners. These articles are suitable for use in your newsletters or on your blog or website. Click the link for more information.